A ‘virtual’ school providing online courses for 16 – 18 year olds is the way ahead for Northern Ireland’s education system, according to new research from the University of Ulster. Professor Roger Austin, from the School of Education, says online learning is the best way to address the problem of dwindling pupil numbers and uneven curricular choice. In collaboration with Professor Bill Hunter from the University of Ontario Institute for Technology, Professor Austin has been researching comparisons between Northern Ireland and Newfoundland, where the education system has successfully adapted to declining numbers and rising school costs, in part by making online courses available. “Accepting that an end to denominational schooling in Northern Ireland remains a highly unlikely policy solution given the composition of the current Executive, we believe the way forward would be the creation of a virtual school that would provide both inter-school links for citizenship and online courses for students aged 14 – 18 years. “To be most effective, such a school would need to be ‘integrated’ and serve students from all religious communities. This proposal would not challenge the role of the churches in the administration of local schools and would be less likely to run into political opposition. It would be cost effective and would build on work already carried out through the highly developed ICT infrastructure that exists in Northern Ireland. 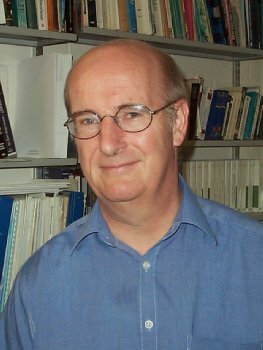 Professor Austin’s research reveals that Canadian students taking online courses for entrance to higher education did at least as well as others who were taught face to face; the findings also showed that the online students were better prepared for the kind of independent study expected of them at university level. He said: “We must acknowledge the pioneering way that the Department of Education has supported the use of ICT to link schools, particularly between Northern Ireland and the Republic of Ireland through initiatives such as the Dissolving Boundaries Programme, which has made inter-school links possible for over 36,000 pupils since it began in 1999. “However, progress towards distance learning has been slow, with the majority of pupils being bussed to other schools in their local Area Learning Community, at considerable cost, time and energy. To date, we do not see any evidence that these arrangements will create anything like the wide range of attractive digital courses which are available through the Canadian model. Professor Austin believes that if the Department of Education is to ensure that there are equal educational opportunities for advanced study in all schools virtual learning needs to have widespread political support.